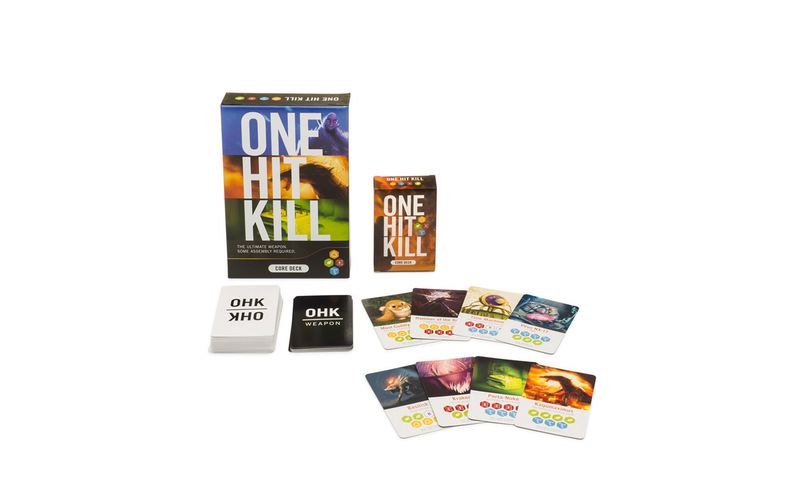 After the success of Writer Emergency Pack, the same team was ready to take on our first card game, One Hit Kill. 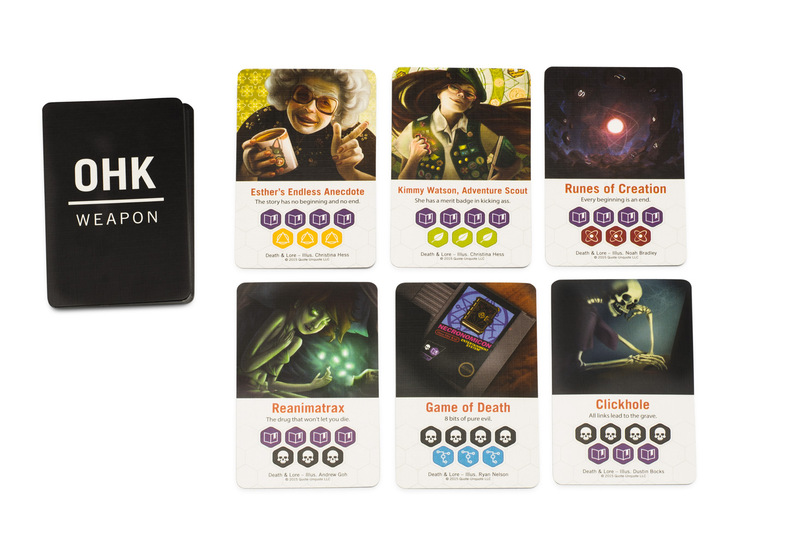 This over-the-top card game pits friends against one another as they race to build the ridiculously overpowered weapons. Expand the game with the Death & Lore expansion set, or create your own weapons with the Makers Kit! Component Card illustrations: Dustin Bocks. 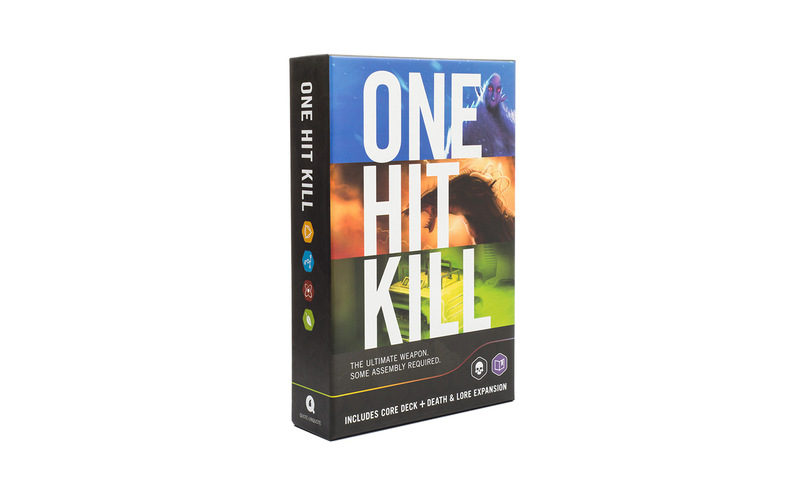 One Hit Kill core deck. Selected cards from the Death & Lore expansion set.